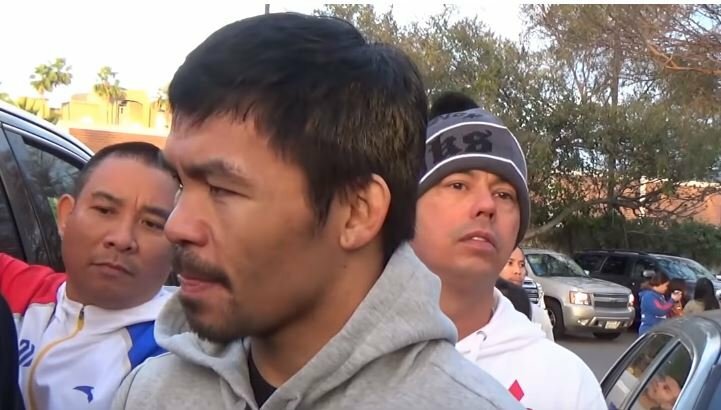 Boxing legend Manny ‘PacMan’ Pacquiao goes back to work on January 19th in a pay per view showdown against Adrien Broner at the MGM Grand in Las Vegas live on Showtime pay per view. The fight is a tough fight for him on its own merits given Broner’s renewed focus in training — but there has been a large school of thought this year that both Manny and old rival Floyd Mayweather both want a rematch with one another next year as the main priority. That seems to be the end goal for both according to trusted sources behind the scenes. Obviously Pacquiao is not ducking Floyd or afraid of him. The fight is a huge pay day and is something he surely wants. The above more than anything just shows his renewed focus on taking one fight at a time. As boxing history tells us that’s a smart move, too. Never, ever underestimate your opponent.